The most astonishing landmark of Samut Prakan Province is perhaps the Erawan Museum. Since its completion, the colossal three-headed elephant statue (250 tons in weight, 20 metres high and 39 metres long) standing on the pink pedestal has become one of the most revered objects in the province, which has attracted large numbers of worshippers. 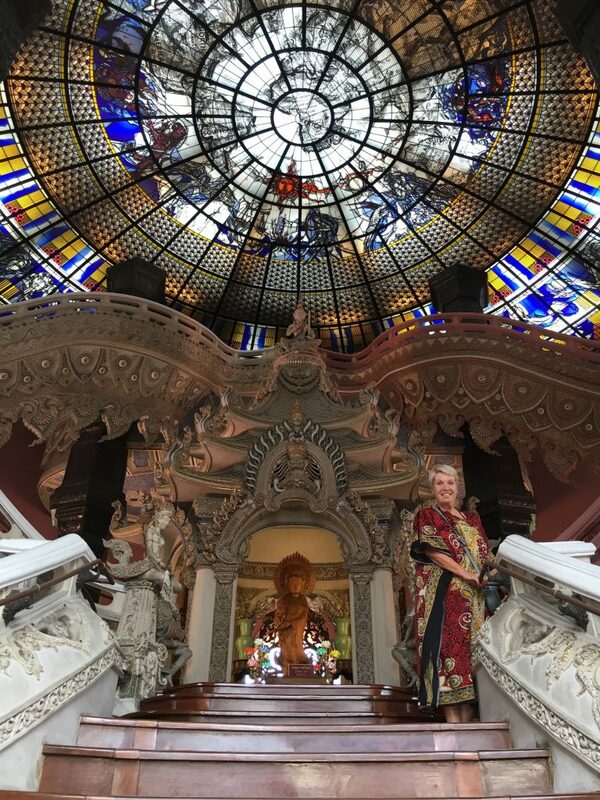 Erawan Museum in Thailand is an important model of sculpture. The Erawan Museum is the door opening to the heritage of Thai culture. With a wide range of architectural symbols combined with fine arts and craftsmanship, structural layout and natural environment that integrate harmoniously, the Erawan Museum creates a kind of atmosphere that induces visitors to perceive and appreciate the continuity of history, cultures, religions, arts and customs of faith from past to it is located on an area of 12 acres by Thonburi Autumotive Assembly Plant Co., Ltd. The museum is built from the inspiration of Mr. Lek Viriyaphant Creator of the Ancient City and Sanctuary of Truth Pattaya City, Chonburi to provide a storage place for artifacts and heritage conservation areas and to continue to preserve traced artwork.